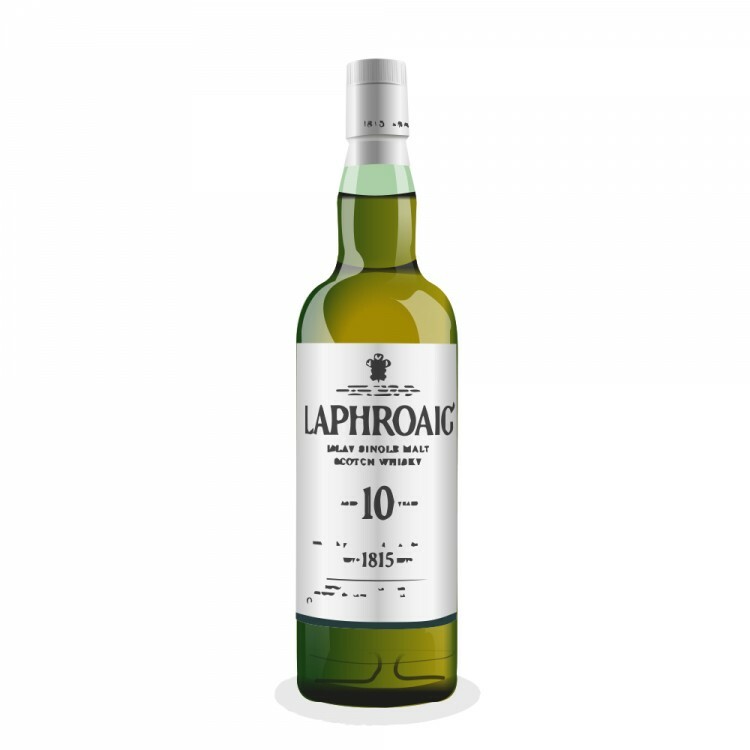 Laphroaig's ten-year-old expression greets you with a full-throated shout of peat. There is no getting away from it. If you strongly dislike peaty smoke, you won't like this. But I don't and I do, if you see what I mean, which is extremely fortunate, since if you can get along with it this is a whisky to savour. The scent of peat is thick and intense: the influence of the burning histosol that dries the malted barley is clearly key to understanding Laphroaig. The soil-rich scent of a wet allotment pervades the nose. There's also a distinctly medicinal undertone, reminiscent of old, honeydew hospital wards where matron reigns supreme. These twin qualities, of peat and of medicine, persist throughout the whisky to an extent that is hard to make clear. But if you take your time with it, and push gently through the more obvious notes, the whisky reveals a sweetly surprising alter ego. After a little while, Laphroaig isn't just a wall of wet earth: it has an airy freshness that enlivens the nose, tinged with a subtle sweetness. Engaging hints of violet and lemon juice dance in and out of reach. Best to move onto the palate before the nose becomes any more beguiling. On the tongue, the whisky is oily, and smokey all over again - though this time with a new aspect. The first taste announces itself with a maritime edge, slightly salty. As it rests on the palate it develops a drier texture not unlike charcoal, and increasingly sustained through the not overlong finish with the suggestion of a slight peppery spice. Laphroaig, then, is a memorable whisky, very much in the style of its Islay brethren. Swirl it in the glass and, as it settles, the languid body forms tendrils that echo the peat smoke that makes the whisky. If you like Islay whiskies, you'll probably love it; if you dislike them, this is unlikely to be any different. But either way, you owe it to yourself to try it, and to be patient with it: Laphroaig's beauty is more than skin-deep. Nice review. One of the things I really like about Laphroaig 10 is that an opened bottle just gets sweeter and sweeter after a few months. 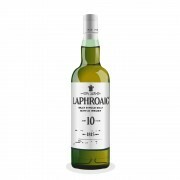 After say, six to eight months, an open bottle of Laphroaig 10 has lost a lot of the smoke in the nose, but has, in my experience, gained a lot of additional sweetness. I enjoy it when first opened, and I enjoy it after it has been long opened.